I really don't understand what your problem is. Whenever a new member comes along, you just crap all over his car and give him the absolute worst-case scenario. You're not giving him the facts on the car, you're giving him an exaggerated worst-case scenario. That's why it's not welcoming. Just please stop crapping all over people's cars when you know almost nothing about them. 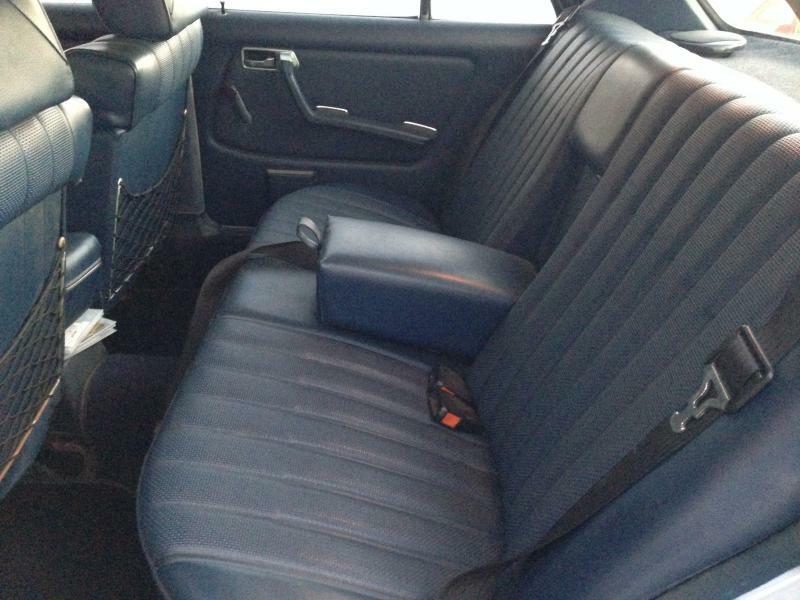 $2,000 MB-Tex front seat upholstery? Ridiculous price and a somewhat ridiculous assumption that it needs to be replaced. Rust under the battery box does not make a car a rust bucket. That's probably some of the easiest to repair rust on these cars. Explaining what I meant by Bulimic seats....Was not telling him all his seats are crap and need to be re-stuffed/upholstered....It was EXPLAINING! Last edited by cooljjay; 11-07-2015 at 05:25 PM. Last edited by Mölyapina; 11-07-2015 at 07:38 PM. Hey, Scott. You will find a lot of very nice and helpful people on here so don't let this deter you from posting. Once in a while people can seem rude even if they don't mean to come across that way, perhaps some really are rude sometimes, but most of the guys on here will give you a wealth of information and the majority have been quite nice to me. 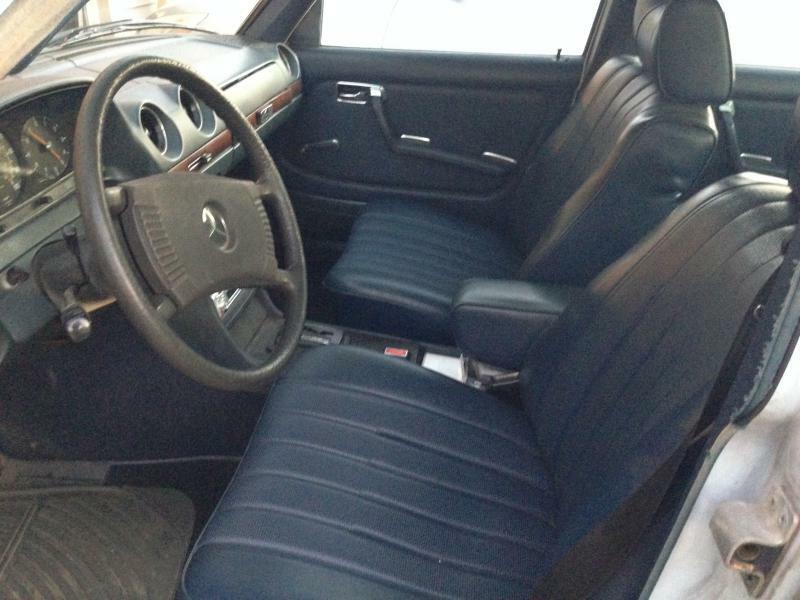 I am working on my first W123 now. The people here have been great. If you got a 240 that isn't rusted out and it runs well, you did ok in my book. I looked for a 240 before I got my 300. Either they were rusted out or they wanted too much money for my budget. Hell, a used lawn tractor will cost you $500 if it runs. I don't think you got hurt for $1500. If you're happy, you got a good deal. I'm in northern Illinois. Still trying to figure out how to edit my profile to add that info. Click on User CP on the left of the page, right under the top ad. Then, you will be brought to your Control Panel, where you will have a bunch of tabs on the left to click on. Choose the topmost one, "Edit your details", and then scroll down to the "Additional Information" block, where one of the options is to give your location. 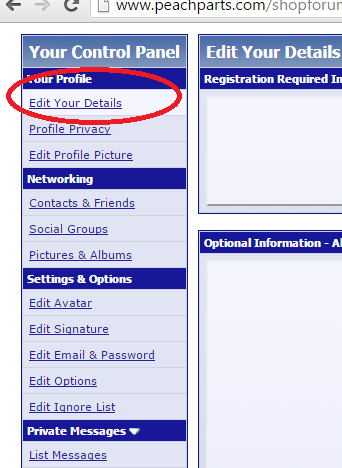 In "Edit my details" and under other tabs in the user CP, you will find pretty much everything you need to set up your profile. You can change your user title (the little blurb of text below your username) and add a few details about yourself in "Edit your details". In other tabs, you can add an avatar, edit your your signature, etc. Pictures added on bottom to help you find where to do add your location. Hi, my name is Charlie, and I too like old cars. past 2 days. Does he want to sell it or not? Yeah, old cars rule. 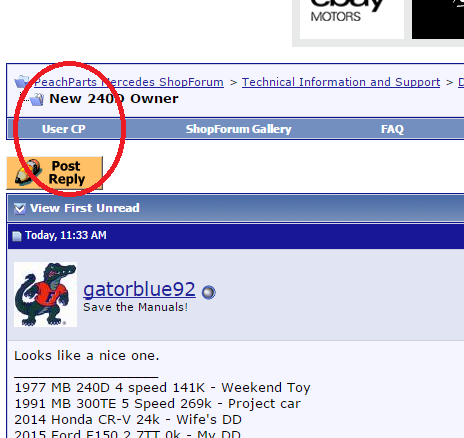 We are all on this Forum because we own old cars. we were told not to do. We come here to help others and pass on what we learned. Scott, you have a nice looking car, interior too. Stick around, we`ll give you a hand. for support, and the rubber pieces in the corner Coil Springs. Not sure on the 1st gen 81 - 85 if they were improved. I put an 91 in our 80 240D. I was able to swap out the drivers seat in the SD with a cloth unit, no less.